RIGAUD DE VAUDREUIL DE CAVAGNIAL, PIERRE DE, Marquis de VAUDREUIL, officer in the colonial regulars and last governor general of New France; b. 22 Nov. 1698 at Quebec, fourth son of Philippe de Rigaud* de Vaudreuil, Marquis de Vaudreuil, and Louise-Élisabeth de Joybert* de Soulanges et de Marson; d. 4 Aug. 1778 in Paris, France. 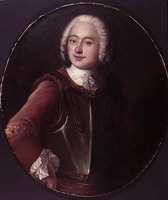 Pierre de Rigaud de Vaudreuil de Cavagnial’s father, scion of a feudal Languedoc noble family, served with the Mousquetaires before accepting the appointment of commander of the colonial regulars in Canada. 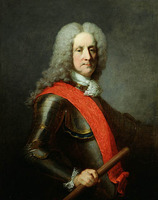 He later became governor of Montreal and in 1703 succeeded Louis-Hector de Callière* as governor general of New France. He governed the colony in troubled times but won the respect and esteem of the Canadian people, and Pierre was to benefit from his father’s legendary reputation to a considerable degree. At the age of ten, Pierre was commissioned ensign in the colonial regulars; on 5 July 1711 he was promoted lieutenant and in the same year accorded the rank of midshipman on the navy list. Two years later his father sent him to the court with the year’s dispatches. His mother had been there for the past four years and had received the prestigious post of under-governess of the Duc de Berry’s children. She was able to influence the minister of Marine in the direction of Canadian policy and, at the same time, advance her family’s interests. Pierre returned to Quebec in 1715 with the rank of captain, well grounded in the workings of the colonial administration and the methods of dealing with the officials who made the major decisions. At Quebec, under his father’s tutelage, he learned how to cope with the intrigues endemic in all the French colonies. What was more important, he acquired a thorough understanding of his father’s policies for defending the interests of New France against threats posed by the British colonies to the south and the Hudson’s Bay Company to the north. 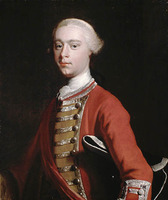 In 1721 he accompanied a party of senior officers on a tour of inspection of Lake Ontario. From Fort Frontenac (Kingston, Ont.) they skirted the north shore of the lake, examining possible sites for future forts. At Fort Niagara (near Youngstown, N.Y.) they held a conference with Seneca and Onondaga chiefs. This experience of Indian oratory and diplomacy was to prove useful to the young captain. On the party’s return it skirted the south shore of the lake, and he thus gained a first-hand knowledge of a vital zone in Canada’s extended defence system. 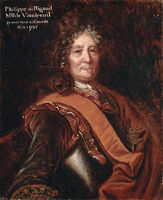 In 1725 Governor General Vaudreuil died. His widow crossed to France and the following year succeeded in obtaining the appointment of major of the troops in Canada for Cavagnial. Although now burdened with the management of the family’s Canadian affairs he proved assiduous in the performance of his duties and introduced several long overdue administrative reforms. In 1727 he obtained leave to go to France to assist his mother in the disposition of his father’s estate, but he passed it up when word was received that the Fox nation had attacked a French detachment on the Missouri, killing an officer and seven soldiers. Governor General Charles de Beauharnois* decided that a strong counterstroke was called for. He gave Captain Constant Le Marchand* de Lignery command of a large force to crush the tribe once and for all. Cavagnial accompanied the expedition, which accomplished little but did provide him with valuable experience in the logistic problems and difficulties attendant on warfare in the distant wilderness. 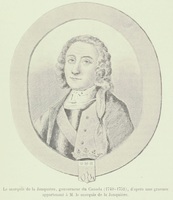 Upon his return to Quebec in 1728 Cavagnial crossed to France with his younger brother François-Pierre de Rigaud de Vaudreuil. He made a good impression on Maurepas, the minister of Marine, and was appointed to the post of adjutant of the colonial troops. From this point on he regarded Maurepas as his protector. 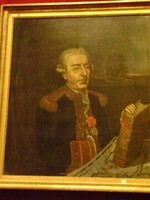 In 1730 he received the cross of Saint-Louis and promotion on the naval list to lieutenant-commander. When it became apparent that the governorship of Montreal would soon fall vacant – the incumbent, Jean Bouillet* de La Chassaigne, being almost moribund – Cavagnial put in a plea to the minister for the succession. In this aspiration he was disappointed, but two years later, in 1733, when the governor of Trois-Rivières, Josué Dubois* Berthelot de Beaucours, received the Montreal post, Cavagnial was appointed to the vacancy thus created. He quickly learned to dispense the modest patronage at his disposal shrewdly, building up a circle of loyal supporters. His success as a local governor can be gauged by the negative evidence: his nine years at Trois-Rivières were singularly lacking in untoward incidents. When in 1740 his mother died in Paris, Cavagnial requested leave and the following year travelled to France. He arrived at a most propitious time. Jean-Baptiste Le Moyne* de Bienville, governor of Louisiana, worn out by four decades of incessant struggle to get the colony firmly established, had requested his recall. Just when Maurepas was casting about for a suitable replacement Cavagnial appeared at court. In April the minister made his decision. Cavagnial’s official appointment was dated 1 July 1742. It represented a major advance in the imperial service, but the Marquis de Vaudreuil, as Cavagnial had begun calling himself, was already looking further ahead. He saw it as merely a steppingstone to the achievement of his great ambition, one day soon to succeed to the governor-generalship of New France. He sailed from Rochefort on 1 Jan. 1743, accompanied by Jeanne-Charlotte de Fleury Deschambault, 15 years his senior and the impoverished widow of the king’s lieutenant at Quebec, François Le Verrier* de Rousson. They must have been well acquainted before embarking on this voyage with its attendant risks, but it certainly afforded them an opportunity to come to know each other a good deal better. After a four-month voyage they landed at New Orleans on 10 May. 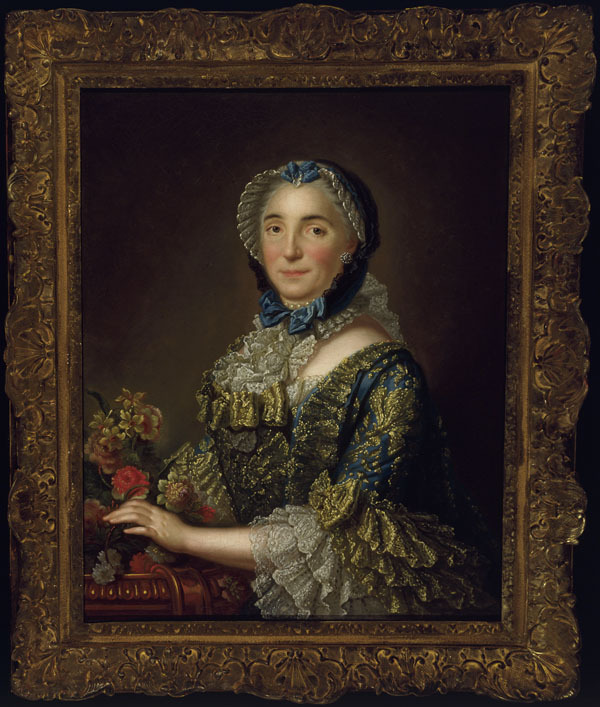 That Vaudreuil was a cautious man who did not like to rush into things is evidenced by his waiting a further three years, until November 1746, before he married Mme Le Verrier, who was then 63. They were to remain deeply attached to each other for the ensuing 17 years. Vaudreuil quickly discovered that his elevated post, so eagerly accepted, was not to be a tranquil one. He was responsible for the maintenance of French sovereignty over the interior of the continent from the Appalachian range and Florida on the east to New Spain in the west, from the Gulf of Mexico to the Illinois River. Except for the agricultural settlements along the Mississippi from south of New Orleans to Natchez (Miss. ), and in the Illinois country, the French presence was maintained among the various Indian nations, many of them hostile, only by palisaded trading posts garrisoned by a commandant with a few regular troops who deserted at the first opportunity. The total white population was less than 6,000. New Orleans, the administrative centre of this shadow empire, lay at the end of two long communication lines, both of them vulnerable. The one stretched through the dangerous Bahamas passage (Straits of Florida) and across the Atlantic to Rochefort, the other up the Mississippi and through the Great Lakes to Quebec. Months were required to reach either destination. Were a serious threat to the colony’s security to arise, the governor would have to cope with the situation as best he could. Vaudreuil was also aware that a colonial governor was merely one unit in the colonial administration, albeit an important one. Although nominally subordinate to the governor general of New France at Quebec, distance and the slowness of communications made the governor of Louisiana an independent authority, reporting to, and receiving orders directly from, the ministry of Marine. Above him were the minister and his deputy, the first clerk, who had to be courted, placated, influenced, convinced, and most of all, favourably impressed. Below were the subordinate officials and military officers who had to be kept in line, their loyalty and support gained, their hostility checked. The governor had to find ways to make them fear and respect him. He was thus under all manner of pressures and influences, many of them hidden. Intrigue and chicanery were everywhere rampant in the Byzantine government of Louis XV. Every governor of Louisiana had to bear in mind the purpose that the colony was intended to serve in French imperial policy. Louisiana had been first established for purely political and military reasons, to block Anglo-American westward expansion. It was also hoped that eventually the colony’s economy would develop to the point that it would show a profit on the imperial balance sheet. The crown, staggering from one financial crisis to the next, always sought to achieve its aims with the minimum of expenditure. The needs of the colonists rarely received much consideration. Vaudreuil found himself required to execute policies with means that were invariably inadequate. He also, being himself colonial born, felt considerable sympathy for the settlers and sought to assist them in every way he could. All too often these two objectives, furthering imperial policy and improving conditions for the Creoles, were, if not in conflict, mutually exclusive. Bienville, Vaudreuil’s predecessor, had seen the colony through its founding period. He had performed prodigies merely to avert total collapse but he had been unable to perform miracles. Being human, he wished the minister to believe that he left the colony secure, the Indian nations solidly aligned in the French interest following on his recent campaign against the redoubtable Chickasaws. Vaudreuil saw things differently. It was politically expedient for him to depict the situation that he had inherited in a bad light. He informed the minister that he would quickly restore discipline among the troops and put a stop to the civil and military abuses that were rampant. On the state of the economy he was quite optimistic, and judicious. It was the external threat that worried him most and for which he held his predecessor responsible. Perhaps he would feel more charitable a few years hence, after he had struggled to cope with the complexities that had taxed Bienville’s indisputable talents. Yet he did not exaggerate when he informed the minister that French influence among the Indian nations, particularly the powerful Cherokees and Chickasaws, was minimal and that the British colonials were sowing dissension among all the tribes with their underpriced trade goods in order to win them over one by one. Vaudreuil held frequent conferences with delegations from the Indian nations in his attempts to hold them fast in the French alliance and woo them away from British influence. 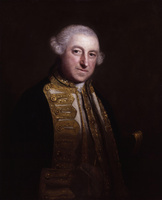 His efforts did not go unrecognized by the minister; in 1746 he was promoted captain, a senior rank on the navy list. Vaudreuil informed the minister that the colony could flourish if the native tribes were brought to live in peace, but peace could be obtained only by eliminating the influence of the Carolina traders. An additional 100,000 livres’ worth of trade goods was required to achieve this end, but the supply provided by the crown never seemed adequate and Le Normant’s tight hold on the budget hampered his efforts at every turn. Lacking both the military force and the goods needed to counter the growing British threat, Vaudreuil was forced to use other means. The influence of Matahachitoux among the Choctaws had somehow to be countered to prevent the entire nation’s being subverted. Vaudreuil put a price on his head sufficiently tempting that five months later the chief was killed by some of his own people. He also succeeded in persuading the Choctaws to attack a Carolina trading party and pillage its 60-horse pack train. The loss of their goods and horses was a serious blow to the Carolinians. They were slow to send another pack train over the mountains. This incident was not the end of the struggle but British dominance over the Louisiana tribes had been averted. It must have been a cause for considerable satisfaction to Vaudreuil when, in March 1748, Le Normant left for Saint-Domingue (Hispaniola). This condition, however, was to be of short duration. Le Normant’s successor, Honoré Michel* de Villebois de La Rouvillière, who had married into the powerful Bégon family, proved to be a far worse thorn in Vaudreuil’s side than Le Normant had been. All his life a quarrelsome man, within a few months of his arrival Michel began penning savage tirades against Vaudreuil to the minister. Unfortunately for Vaudreuil his old mentor, Maurepas, was dismissed from office in April 1749. He was replaced by Antoine-Louis Rouillé, who seemed determined to make Maurepas’s appointees aware that they had a new master. He accepted Michel’s charges at face value, among them that the troops in the colony were insubordinate and that Vaudreuil protected his appointees who were committing all manner of crimes. Vaudreuil now found himself continually being reprimanded and forced to defend himself against a variety of charges. This he did without allowing the dispute to flare up in public. He treated Michel with polite aloofness which infuriated him all the more. Frustrated by Vaudreuil’s refusal to quarrel openly, and by his own failure to find support among the local notables, Michel seethed with repressed fury which mounted until in mid December 1752 he was carried off by a fit of apoplexy. Vaudreuil sent a restrained note to Rouillé, stating that Michel’s contribution to the service was well known to the minister and requesting that something be done for the deceased’s son who was still at college. This episode had been a vexing but minor one in the colony’s affairs. Vaudreuil had other and far more serious problems to worry about. Several hundred miles to the north the Illinois country was a source of constant concern. Settlers were few, but the region was a keystone in France’s American empire. Although officially under the jurisdiction of the governor of Louisiana the Illinois settlements were as much, if not more, under the control of the governor general at Quebec. 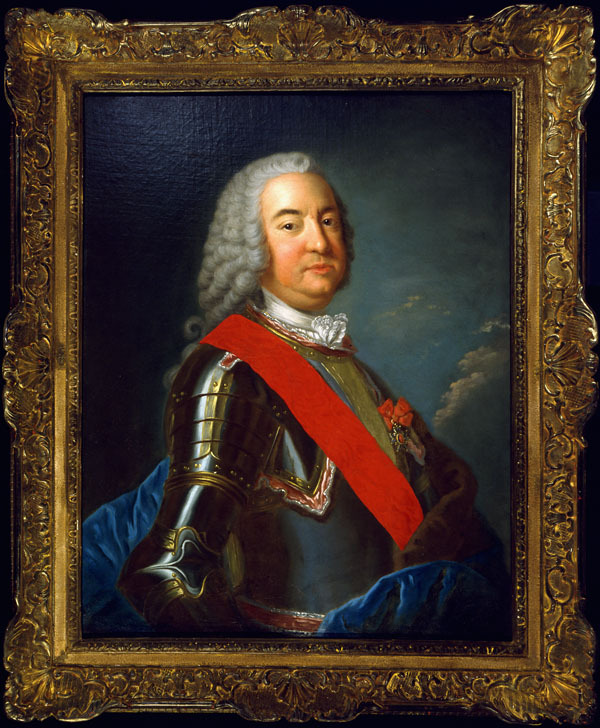 Ironically, Vaudreuil’s father had bitterly resented the detachment of the region from his jurisdiction in 1717 to strengthen John Law’s Compagnie des Indes. Settled by Canadians who lived by farming, hunting, and trading with the Indians [see Antoine Giard*; Jean-François Mercier*], the region had economic ties with both Montreal and New Orleans. The fur trade was controlled by the Montreal merchants, but the region’s surplus flour, heavy hides, and the product of the local lead mines went to New Orleans. The Illinois settlements were also vital for the security of the communication route between Canada and Lower Louisiana. A major problem in the region was the disorders caused by renegade Canadian coureurs de bois among the Illinois tribes and those along the Missouri. They created a situation that, Vaudreuil feared, British traders would be quick to exploit were it not brought under control. Moreover, he maintained that the trade of the entire Mississippi valley be longed by rights to the Louisiana colonists; the Canadians were interlopers. Vaudreuil had to accept the fact that the price of trade goods was cheaper at Montreal than at New Orleans, and the Canadian fur trade efficiently organized. In his correspondence with Governor General Beauharnois at Quebec, he proposed that the Canadians be permitted to trade in Upper Louisiana for beaver and fine grade furs, but that deer skins and buffalo hides should go to New Orleans. He set about organizing a company of 20 of the leading Illinois traders and proposed to give them a monopoly of the trade on the Missouri. The company should agree to build a fort and maintain a detachment of troops to keep order in the region. This project seemed so reasonable to Vaudreuil, so well calculated to further French imperial interests in America, that he put it in motion before informing Beauharnois, fully expecting to receive both the governor general’s and the minister’s concurrence. Beauharnois, however, took umbrage, declaring it to be a usurpation of his authority, and the district subsequently reverted to the authority of Quebec. Vaudreuil sought to avoid further conflicts with Quebec by obtaining a definition of the jurisdictional limits of Canada and Louisiana. When in 1746 La Jonquière [Taffanel*] was named to replace Beauharnois he was instructed to resolve the problem expeditiously. At the same time the minister began to be persuaded that it would be more economical were the Illinois country placed under the jurisdiction of Quebec since it was too remote from New Orleans for the authorities there to administer effectively. He also felt that it was a strain on Louisiana’s budget, and the detachment of two companies of regular troops a thousand miles to the north weakened the lower colony’s meagre defences. As for the economic factors, the furs of the region would go to Montreal, the wheat to New Orleans, regardless of jurisdictional control. 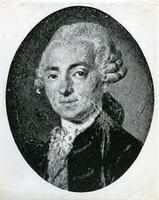 It was Roland-Michel Barrin* de La Galissonière, acting in La Jonquière’s absence, who had to deal with the problem. In September 1748 he put forward a detailed plan for the defence of French sovereignty in North America against Anglo-American aggression. He concurred with Vaudreuil that the Illinois country was vital but declared that it had to depend on Canada for its defence and development. He was concerned solely with the larger picture of imperial policy; Vaudreuil, on the other hand, was loath to relinquish his authority over Upper Louisiana and the patronage it afforded him. 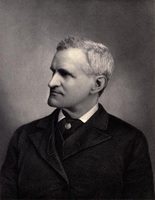 He therefore strongly opposed the annexation of the Illinois region by Canada. When, in 1749, a decision had to be taken Rouillé compromised. The administration of the Illinois settlements was left with Louisiana but the Ohio valley and the posts on the Ouabache (Wabash) were placed under the commandant at Detroit. Vaudreuil had long been concerned over a potential British threat to the Ohio region. In 1744 he had advocated the construction of a fort on the Ohio some 30 miles from its mouth but Maurepas had prevaricated. Meanwhile traders from Pennsylvania had begun infiltrating the valley. Without a strong French presence and an ample supply of trade goods at competitive prices Vaudreuil could do little to halt their inroads. He feared that the British would establish a fort on the Ohio, win over all the tribes, and be impossible to dislodge. The 1749 expedition of Pierre-Joseph Céloron* de Blainville to the Ohio valley revealed just how serious this threat had become. Vaudreuil then appealed to La Jonquière to employ force to drive the British out but the governor general demurred. All that Vaudreuil could do was reinforce the Illinois garrison with six additional companies, send reliable officers to try to hold the wavering allies from going over to the British, and make plans to restore the crumbling Fort de Chartres (near Prairie du Rocher, Ill.). 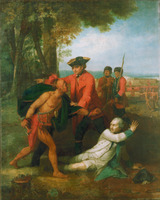 Just how effective the action proposed by Vaudreuil could be was demonstrated in 1752 by the daring raid of Charles-Michel Mouet de Langlade who, at the head of 200 or 250 coureurs de bois, Ottawas, and Ojibwas from Michilimackinac (Mackinaw City, Mich.), swooped down on the British trading base at Pickawillany (Piqua, Ohio) among the Miamis. They killed Memeskia (La Demoiselle), the leader of the faction serving the British interest, and 20 of his followers, took five or six British traders prisoner, and then swiftly retired. British influence in the whole region crumbled. Some of their client bands abandoned their villages, fearing like treatment. Half a dozen nations whose allegiance to the French had become doubtful now sent war parties against villages that had allied themselves with the British traders. Vaudreuil was able to report that the tribes of the Ohio valley were all making overtures to the French, hoping to be restored to grace. He warned, however, that the situation was still fluid. What was needed to maintain dominance over the region was a fort on the Ohio [see Claude-Pierre Pécaudy de Contrecœur]. Perhaps Vaudreuil’s greatest achievement in Louisiana was his contribution to the establishment, for the first time in the colony’s history, of relative economic prosperity. In 1744 the colonists had faced starvation; the land was neglected and a lack of both external markets and shipping had reduced the settlers to bare subsistence farming. Vaudreuil’s solution to this problem was to gain access to markets in the Spanish colonies, Cuba and Mexico. The British navy was his unwitting accomplice in this endeavour. The Spanish colonial administrators, in the face of severe wartime shortages, were forced to entertain Vaudreuil’s proposals to admit Louisiana produce, much of it on their contraband list. La Balise, at the mouth of the Mississippi, became an entrepôt where French goods were picked up by Spanish ships for trans-shipment to Havana, Santo Domingo (Dominican Republic), and Veracruz (Mexico). Vaudreuil estimated the value of this trade in the period 1742–44 to be 750,000 livres. When the war ended, the trade fell off dramatically but quickly revived. The Spanish colonies found that they could no longer do without it. In 1743 Vaudreuil purchased a working plantation with 30 slaves on the shore of Lake Pontchartrain for 30,000 livres. He developed it assiduously to increase his income, his salary being a mere 12,000 livres a year, an amount that was quite inadequate to support his lavish mode of living. He also intended that it should encourage the other planters by example. Upon quitting the colony he sold the property for 300,000 livres, but likely this tenfold increase could be attributed to some degree to wartime inflation. Vaudreuil stressed the production of indigo in Louisiana and brought about a marked improvement in its quality. Between 1743 and 1750 its price doubled and it was so much in demand that the British parliament was obliged to subsidize Carolina indigo. This subsidy resulted in a thriving contraband trade between New Orleans and Charleston (S.C.). Louisiana found itself with an additional profitable market for its indigo and the Carolina exporters collected the British subsidy; both prospered. Timber, pitch, tar, turpentine, tobacco, rice, and hides were also produced for export in increasing quantities. In 1750 a hundred ships called at La Balise from the French and Spanish West Indies, Mexico, and France. By 1751 the colony’s export trade amounted to a million livres. By 1753 that figure had doubled. Vaudreuil could take some of the credit. Another major contribution to the colony’s prosperity for which Vaudreuil could take credit was the tripling of the budget, from 322,798 livres in 1742 to 930,767 in 1752. Most of this money was expended in the colony to pay the troops and officials, to build fortifications and subsidize the clergy, for “presents” to the Indians, social welfare, and a myriad of things. The greater part of it ended up in the pockets of the colonists, who now enjoyed a fair measure of economic security, and some of them were relatively affluent. Vaudreuil himself set the pace in colonial society for conspicuous consumption. He entertained lavishly, kept open table for the officers and notables, rendering it highly desirable to be granted the entrée to his circle, pernicious to earn his displeasure and be excluded. Throughout these years Vaudreuil hoped and expected one day in the near future to be appointed governor general of New France. This had long been his main aim in life. Learning that not he but La Jonquière had been named, in 1746, to replace Beauharnois came as a terrible disappointment. La Jonquière, however, reassured him that he had accepted the post at Quebec for a three-year term and that Maurepas had stated that he would be succeeded by Vaudreuil; but then Maurepas was dismissed from office. In 1752 Duquesne was appointed to replace the deceased La Jonquière. Vaudreuil began to fear that he had been passed over permanently. His family was outraged. His brother François-Pierre wrote him to say that he was sure Vaudreuil would now resign from the service. He added that even though Vaudreuil would have only 4,000 livres a year pension he could live at his ease in Languedoc on that and be answerable to no one. It must have come as a great relief when, in a letter dated 8 June 1752, Rouillé informed Vaudreuil that he was to be replaced as governor of Louisiana by Louis Billouart de Kerlérec. He was ordered to remain at New Orleans long enough to instruct Kerlérec in the affairs of the colony and then return to France from where he would, in due course, proceed to Quebec. Vaudreuil had won the acclaim of the Louisiana colonists. He left the colony in a far more secure and prosperous condition than he had found it. He had gained a great deal of invaluable experience in his negotiations with the Indian nations. He had also become acutely aware of the growing threat posed by the British colonies. On 24 Jan. 1753 Kerlérec’s ship arrived at La Balise. On 8 May Vaudreuil and his entourage left New Orleans. 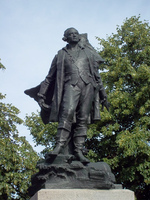 He landed at Rochefort on 4 Aug. 1753 and then took up residence in Paris. Vaudreuil’s commission as governor general of New France was not issued until 1 Jan. 1755. During those 20-odd months that he spent in France there was a clash of arms in the Ohio valley between Major George Washington at the head of a party of colonial militia and a detachment from the garrison at Fort Duquesne (Pittsburgh, Pa) [see Louis Coulon* de Villiers]. This incident marked the beginning of hostilities between Britain and France that were to involve four continents for the ensuing nine years. Neither Vaudreuil nor the French government had any illusions about their ability to conquer the British in America. Vaudreuil’s task now was to prevent them from conquering New France. To bolster the defences of Louisbourg, Île Royale (Cape Breton Island), and Canada against anticipated British attacks, the French government in 1755 detached six of its 395 infantry battalions from the ministry of War and placed them under the ministry of Marine. Command of the army battalions in Canada was given to Baron Jean-Armand de Dieskau* with the rank of major-general. The wording of his commission, which was issued on 1 March 1755, was undertaken with the most scrupulous care. It went through several drafts to ensure that all concerned clearly understood and accepted that the commander of these battalions was under the supreme command of the governor general. The likelihood of conflicts between them was foreseen and a sincere effort was made by Pierre-Arnaud de Laporte, the first clerk of the Marine, to remove all possible causes by defining the respective spheres of authority in detail. Dieskau was required to carry out the orders of the governor general without question; the latter was expected to consult with Dieskau in formulating his strategy. Given sensible men the arrangement would have worked reasonably well. Vaudreuil, accompanied by his wife, sailed for Quebec from Brest on 3 May 1755 with the ships that carried Dieskau and the six army battalions. The convoy eluded Vice-Admiral Edward Boscawen*’s squadron, dispatched by the British Admiralty before war had been declared to intercept and capture or sink it, and arrived at Quebec on 23 June. A week previous the British under Robert Monckton had taken Fort Beauséjour (near Sackville, N.B. ), and an army commanded by Major-General Edward Braddock was over the Allegheny mountains, making its slow but steady way towards Fort Duquesne. Other Anglo-American forces were being massed for assaults on the French forts at Niagara and on Lake Champlain. As governor general Vaudreuil was ultimately responsible for everything that transpired in the vast territory under his authority. Subordinate officials, principally the intendant, had charge of the civil administration, finance, and justice. The major problem of supplies for the army, and for the civilian population, was also the intendant’s responsibility. Bigot, it has to be said, discharged this task efficiently, if at staggering cost to the crown. What the armed forces required he always managed to provide. Throughout the war Vaudreuil’s relations with Bigot, a man of undoubted charm, were good. After his bitter experience in Louisiana with Le Normant and Michel, who had frustrated him at every turn, it must have been a great relief to work with someone as complacent and efficient as Bigot. Vaudreuil was well aware that the intendant was amassing a fortune but he got things done, freeing Vaudreuil from worry over the logistics of the war. In any event, a governor general was not supposed to meddle in financial matters. Military affairs and relations with the Indian nations, upon whom he had to rely heavily for military support, were the governor’s responsibility. Were anything to go wrong in these spheres he would be held solely accountable. Vaudreuil’s main concern, from the moment he landed at Quebec, had to be the direction of the war. His strategy throughout was to take maximum advantage of his interior lines of communication along the St Lawrence, the Great Lakes, the Richelieu, and Lake Champlain. The Anglo-Americans could, he well knew, mass far greater forces than he had at his disposal, but there was a limit to the numbers they could usefully deploy along the invasion routes; supplies, shipping, roads, transport, these factors imposed limits. He also counted on the American colonials’ disunity, their military ineptitude, and the ability of his forces to strike swiftly, summer or winter, all along their frontiers. He could move his main force by water much more swiftly than they could move theirs on forest roads; thus he could attack, inflict a defeat on one front, and then move the army to the other danger point in time to block them again. He also used the Canadian militia and Indian auxiliaries to ravage American settlements, forcing the enemy to tie down sizeable forces for defence. The ferocity of this guerrilla warfare, at which the Canadians excelled [see Joseph Marin de La Malgue; Joseph-Michel Legardeur de Croisille et de Montesson], terrorized the Americans and severely weakened their morale. In addition the prisoners taken provided Vaudreuil with information on the enemy’s dispositions and intentions. He was thus able to mount spoiling attacks on bases and supply trains, making it difficult for an assault to be organized. Just how devastatingly effective the Canadians and Indians could be against both American militia units and British regulars was demonstrated by the destruction of Braddock’s army a few miles from Fort Duquesne in July 1755 [see Jean-Daniel Dumas]. During the ensuing three years Vaudreuil employed these tactics with great effectiveness. 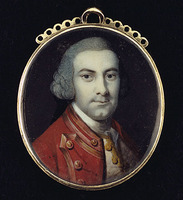 Major-General William Johnson’s thrust towards Lake Champlain was turned back in 1755, although not with all the success that Vaudreuil had intended. The fortified American base at Oswego (Chouaguen) was destroyed the following year by Montcalm*’s forces, securing control of the Great Lakes. In 1757 Fort George (Fort William Henry; now Lake George, N.Y.) was taken after a short siege and razed to the ground, enemy assault from that quarter being thereby ruled out for another year. There was never any question of holding these captured bases. The operations were purely defensive; attack was regarded by Vaudreuil as the best defence. This external threat, grave as it was, proved easier to cope with than the problems Vaudreuil faced with the French battalions, and more particularly with their staff officers. In the 1755 campaign against Johnson’s army Dieskau had ignored Vaudreuil’s orders to keep his force together and had attempted to surprise the enemy with less than half the men he had available. It was a calculated risk and he was only partially successful. The Americans were left in command of the field and Dieskau was taken prisoner. Vaudreuil informed the minister that the Canadians had lost confidence in the ability of the French staff officers to direct military operations in the field. Canadian conditions, he pointed out, were far different to those that the French troops were accustomed to and their officers were not willing to heed advice, or even orders. He therefore asked the minister not to send a general officer to replace Dieskau. This plea was rejected. 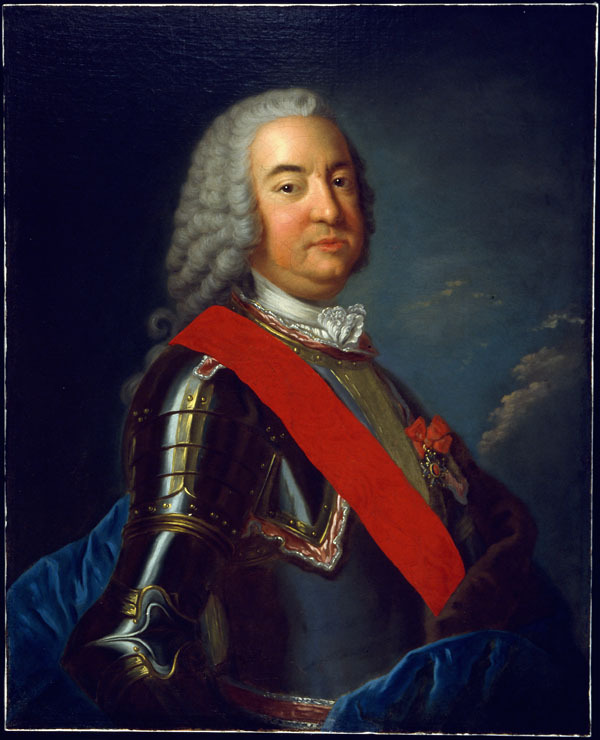 In October 1755 André Doreil*, the commissary of wars, in a dispatch to the minister of War, commented on Vaudreuil’s problems and his character: “He is a general who has good, honest intentions, who is gentle, benevolent, and easily approachable, always considerate and courteous, but the circumstances and his present responsibility are a bit too much for him, he needs an adviser who is free of personal bias and who could strengthen his resolve.” Doreil went on to express the hope that the commander to be sent in the spring to replace Dieskau would be responsive, good natured, and of a gentle character, for such a person would be able to govern the governor. Doreil was certainly not the best judge of character, his own leaving much to be desired, but there was some truth in what he wrote. Had the minister of War set out to find a man possessed of the exact opposite qualities he could not have chosen better than the Marquis de Montcalm, who had never commanded more than a regiment before being appointed to command the French battalions in Canada. The minister of Marine assured Vaudreuil that “M. le Marquis de Montcalm has only the same powers as M. de Dieskau had, and he has been given the same orders and instructions. It is only under your authority that he can exercise the command that has been entrusted to him. And he will be subordinate to you in every respect.” Montcalm was instructed that he had to establish and maintain good relations with Vaudreuil, but he quickly made it clear that this rapport was beyond him. He had a quick, caustic wit and an even quicker temper that he could not control. Although his personal bravery was beyond question he was a confirmed defeatist, convinced that every campaign he was engaged in would turn out badly and always anxious to ensure that the blame would fall elsewhere than on his shoulders. He resented bitterly having to take orders from an officer of the Marine, disagreed violently with Vaudreuil’s strategy, and was extremely critical of the Canadian manner of waging war. He did not scruple to criticize Vaudreuil before his subordinates and servants and his words were of course promptly reported to Vaudreuil, who somehow still managed to be openly polite. 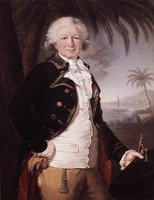 Vaudreuil, in his dispatches to the minister of Marine, which Montcalm contrived to have intercepted and copied, praised the Canadians to the skies but was critical of the French battalions in general and Montcalm’s leadership in particular. 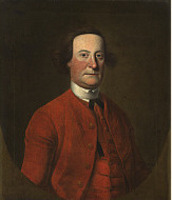 He was exceedingly irate over Montcalm’s failure to follow his orders in 1757 and press on to destroy Fort Lydius (Fort Edward; now Fort Edward, N.Y.) after Fort George had fallen. He charged that too many French officers refused to serve with Canadian raiding parties, declaring that they had not come to Canada to wage that kind of war. All that they were willing to do was wait for the enemy to come to them, then hope to avoid a defeat. He also reported that the Canadian militia, with French solders billeted on them over the winter, resented being called out for war parties while the soldiers remained behind by the fireside. He charged that the French officers were drawing rations for grossly inflated muster rolls, disposing of the surplus, and pocketing the proceeds. Evidence from other sources supports the accusation. At the end of the war many of these officers sought to change colonial paper money into bills of exchange for amounts far in excess of what their pay and allowances had been. Vaudreuil later stated that he and Bigot had issued orders, against which Montcalm had strongly protested, to put a stop to the abuse. Their efforts in this regard enjoyed little success. It was the attitude of the French officers towards the Canadians that raised Vaudreuil’s ire the most. He, and others, reported that the French troops behaved as though they were on enemy territory, pillaging and abusing the habitants with impunity. He informed the minister that nothing would benefit the colony more than the recall of these troops the moment peace was declared. The year 1758 marked the turning point in the war and brought the long simmering conflict between Montcalm and Vaudreuil to the boil. The British government was more determined than ever to eliminate French power in North America. 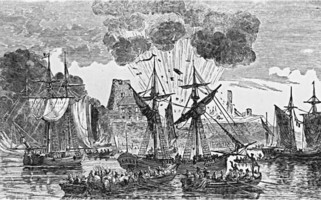 Heavy reinforcements of British regulars were sent across the Atlantic and assaults were mounted against Louisbourg, Carillon (Ticonderoga, N.Y.), Fort Frontenac (Kingston, Ont. ), and Fort Duquesne. Louisbourg held out long enough to prevent Amherst’s besieging army from going on to attack Quebec that year. At Carillon Montcalm, despite odds of nearly four to one, won a stunning victory over Major-General Abercromby. Fort Frontenac was destroyed in a surprise attack by an American force under Lieutenant-Colonel Bradstreet. Vaudreuil had relied on the Iroquois to keep him informed of the enemy’s movements in that region, but they had always resented the presence of that fort on lands they regarded as theirs; hence they gave him no warning. The garrison at Fort Duquesne, commanded by François-Marie Le Marchand* de Lignery, fought a brilliant delaying action against a vastly greater enemy force under Brigadier-General John Forbes,* inflicted heavy casualties, but was finally forced to retire to the upper Allegheny. Vaudreuil’s outer defence system had begun to crumble, but the enemy was still being held well away from the central colony. He knew, however, that the assault would be renewed the following year. He informed the minister that only two things could save the colony, an early end to the war or the sending of heavy troop-reinforcements and supplies in the spring. He sent Major Michel-Jean-Hugues Péan to the court with his dispatches to impress on the minister the urgency of the situation. The decision was then out of his hands. The conflict with Montcalm he had to deal with himself. 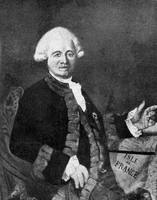 Before the Carillon campaign Montcalm had disputed Vaudreuil’s orders and openly ridiculed him. 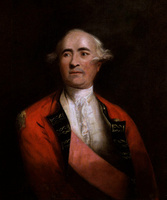 After his victory he levelled serious and quite wild charges against the governor general and the Canadian troops, charges that no superior officer could countenance or ignore. Montcalm also declared that he would request his recall to France. Vaudreuil was only too glad to support this request and sent a strong plea to the minister that Montcalm be promoted lieutenant-general and his undoubted talents employed in Europe. He gave permission to Bougainville* and Doreil to cross to France in the autumn of 1758 to present Montcalm’s view of the situation. They arrived to find that Nicolas-René Berryer had become minister of Marine, the fourth of five to hold the post during the war, and the decrepit Maréchal de Belle-Isle, an old friend of Montcalm, was now the minister of War, the third since the beginning of hostilities. The French government could hardly have been in greater disarray. Berryer refused to listen to Péan, but Vaudreuil’s request that Montcalm be replaced by Lévis, and the reasons for it, were carefully considered and accepted. The decision, however, had to be referred to the king who rejected it, decreeing that, for reasons unstated, Montcalm had to remain in Canada. 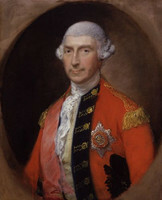 He was appointed lieutenant-general on 20 Oct. 1758, a promotion which created an anomalous situation. 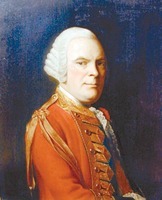 As the minister of Marine had pointed out in recommending Montcalm’s recall, a lieutenant-general ranked higher than a colonial governor general. 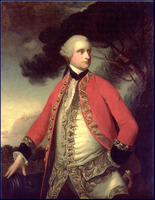 Montcalm therefore had to be given command over all the armed forces, yet Vaudreuil as governor general was still held responsible for the security of the colony. The lines of command were now hopelessly confused between two men who could not abide each other. Meanwhile, at Quebec, Montcalm was disputing with Vaudreuil over the strategy to be employed in 1759. He demanded that the fittest men in the Canadian militia be incorporated into the ranks of the regulars, and that the forts in the west and down Lake Champlain be abandoned in order to concentrate all the available manpower for the defence of the central colony. He also made recommendations for the defence of the river below Quebec. Vaudreuil acceded to the militia’s incorporation into the regulars, but he refused to abandon the outer defences. He argued that to do so would allow the enemy to advance into the central colony unopposed whereupon the fate of New France would be decided in one battle against an army vastly superior in numbers. He intended to oppose the enemy’s advance every foot of the way to delay them as long as possible, hoping that the mother countries would end the war before the central colony was invaded. 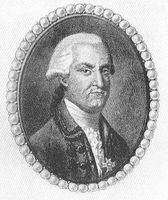 In mid May 1759 Bougainville returned to Quebec accompanied by nine merchant ships with another convoy of 17 close behind [see Jacques Kanon*]. They relieved the grave food shortage of the preceding months and provided enough supplies for the coming campaign. All through the war the supply problem had been a vexing one. Enough ships had always reached Quebec – in 1758 over 40 – to provide for the needs of the army and civilian population. The real problem was one of distribution. A sizeable proportion of the supplies disappeared no one knew where, and the habitants were most reluctant to deliver their produce in exchange for dubious paper money. Montcalm was overjoyed to learn of his promotion, and promised miracles. Vaudreuil could only be dejected. What also dismayed him was that his plea for strong reinforcements had, on the advice of Montcalm, been rejected. Only 336 sorry recruits landed at Quebec. Yet he was ordered to fend off the enemy and retain possession of as much of the colony as he could to strengthen France’s bargaining position at a future peace settlement. The minister, having indicated that Montcalm outranked him, still addressed him as the responsible officer. Montcalm made no attempt to take over the command, and with it the responsibility for what might ensue. He was quite content to leave that to Vaudreuil. 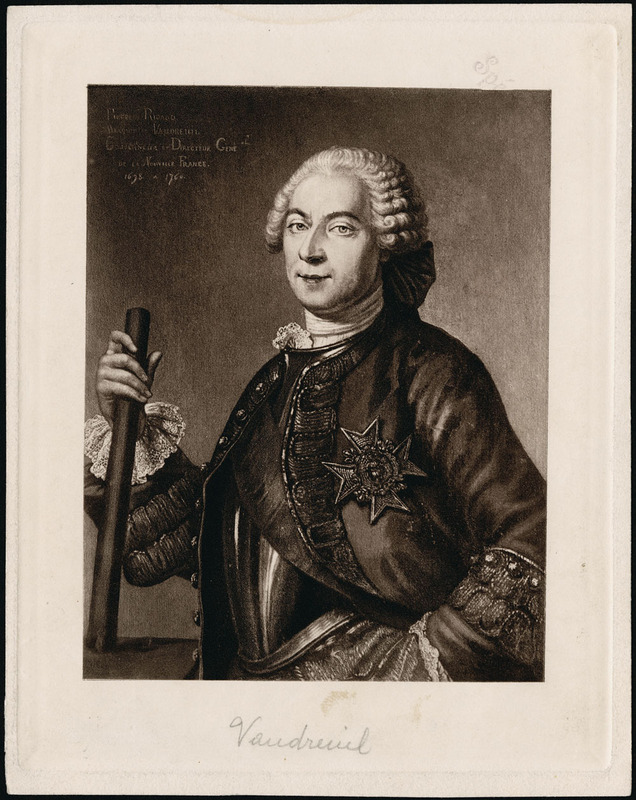 It was small solace for Vaudreuil to learn that he had been awarded the grand cross of the order of Saint-Louis with an accompanying grant of 10,000 livres, after having been appointed a commander of the order in 1757. He had, however, little time to feel sorry for himself since late in May 1759 it was learned that a large British fleet was moving up the river. Unaccountably, the defence measures that he and Montcalm had discussed taking had not been carried out [see Gabriel Pellegrin]. Had they been, the British fleet could have been punished severely before reaching Quebec. Vaudreuil has to be held responsible for this omission. Vaudreuil gave provisional over-all command of the armed forces and the town to Montcalm who, ably seconded by Lévis, succeeded in holding Wolfe*’s army at bay all through the summer. By September the British had become despondent, the French and Canadians jubilant, believing that the enemy would be forced to withdraw in a matter of days and that they would end the campaign with glory. Then Wolfe switched his main force from below Quebec to above it, got it ashore on the night of 12 September, and by daylight had it drawn up within a mile of the town walls. Much ink has been spilled as to who should be held to blame, on the French side, for this turn of events. In fact, had Vaudreuil and Montcalm desired to lure Wolfe’s army into a position where they could totally destroy it, they could not have hoped to find it in a more suitable place than the one that Wolfe had chosen. Montcalm, however, gave way to panic. Without stopping to take stock of the situation, to consult with Vaudreuil or his own staff, he launched an ill-conceived and worse-directed attack with a third of the forces at his disposal. Within the hour his shattered army had tied the field and he himself was mortally wounded. Vaudreuil later stated in a dispatch to the minister that upon learning of the British disposition he sent a note to Montcalm requesting him to do nothing precipitate but to wait until they had their entire force in position to attack. When he arrived on the heights it was all over. He asserted that he tried to rally the fleeing troops without success. The Canadians alone responded. With heavy loss to themselves they checked the British on the right flank, allowing the regulars to cross the Rivière Saint-Charles unmolested. Vaudreuil then set about restoring some sort of order. He dispatched a note to Montcalm who was in the hands of the surgeons in Quebec, with only hours to live, asking for his views on what should be done. Montcalm replied that he should seek terms of capitulation for the entire colony, or launch another attack, or retire up river to join Bougainville’s force of 3,000 élite troops at Jacques-Cartier. Vaudreuil wished to launch another attack at dawn the next day. The British losses had been as great as those of the French, who still outnumbered the enemy by more than three to one and retained possession of the fortified town. He called a council of war attended by Bigot, Pierre-André Gohin de Montreuil, Nicolas Sarrebource* Maladre de Pontleroy, Jean-Daniel Dumas, and the corps commanders. The officers had no stomach for another engagement; only Bigot was for it. The military voted unanimously to retire to Jacques-Cartier. Vaudreuil had to give way. There was little hope of a successful attack by a defeated army under such officers, and another defeat would have been fatal. Vaudreuil therefore gave the orders to retire to Jacques-Cartier under cover of darkness. The guns were spiked, the tents, equipment, and supplies abandoned. Vaudreuil sent word to Montcalm informing him of the decision and expressing a manifestly sincere hope for his recovery. 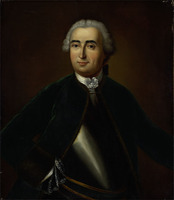 To the commander of the Quebec garrison, Jean-Baptiste-Nicolas-Roch de Ramezay, he sent an order, previously drawn up by Montcalm, requiring him to hold out as long as he could but allowing him to surrender the city rather than sustain an assault that would have incurred. according to the rules of war, no quarter for the inhabitants. He also sent word of what had transpired to Lévis at Montreal. Lévis departed Montreal on the instant, arrived at Jacques-Cartier on the 17th, and immediately set about restoring order in the demoralized army. Vaudreuil and Lévis agreed that the situation could still be saved if the British could be prevented from occupying Quebec. Vaudreuil sent an order to Ramezay, superseding the earlier one, this time to hold out, not to capitulate, and informing him that supplies and reinforcements would reach him in a matter of hours. Ramezay disregarded this order and surrendered Quebec on the 18th. But for that, within a matter of days the British army would have had to raise its siege and leave with the fleet that dared not risk being trapped in the river by the onset of winter. Vaudreuil sent a terse and bitter note to Ramezay informing him that he would have to account to the king himself for his action; he, Vaudreuil, could not. Nothing then remained but to get word to France with a desperate plea that strong reinforcements be sent early the next year to arrive before the British fleet brought a fresh army to Quebec. Vaudreuil arrived in Montreal on 1 October, and in November Lévis drew back with his dejected forces to rejoin him as three British armies prepared to advance on this last defenceless stronghold, all that remained of French power in America east of the Mississippi. Vaudreuil, who had always got on well with Lévis, left the preparations for, and direction of, the ensuing campaign in his hands, giving him all the support he could. When in April 1760 he ordered the Canadian militia to join the army for the march to Quebec they responded well. Lévis won a brilliant victory over the British army under Murray before the walls of Quebec but the expected fleet with reinforcements from France did not appear. The French troops, even the grenadiers, as well as the Canadian regulars and militia, seeing that further resistance was futile – that it could only result in the useless loss of their lives, in rapine and the destruction of yet more farms and crops, with winter coming on to bring starvation – began to desert in droves. When the British armies which had approached by the St Lawrence and by Lake Champlain were at the gates of Montreal, their cannon ranged on the town, Vaudreuil on the night of 6 Sept. 1760 called a council of war attended by the senior officers and Bigot. They all agreed that the situation was hopeless and discussed the terms they should ask of Amherst for the capitulation of Canada, Acadia, and the western posts as far south as the Illinois. Vaudreuil then drew up terms with great care, having two main aims in mind: first, to protect the rights of the Canadians to enjoy their religion, their property, and their laws, even in the event that Canada should not be restored to the French crown at the end of the war; second, that the troops under his command be awarded the customary honours of war and given safe passage to France. Bougainville was then deputed to go to Amherst the following morning to ask for a suspension of arms until 1 October. If by that date no word had been received of a peace settlement in Europe the French would capitulate. The whole of 7 September passed in negotiations. Amherst refused to suspend hostilities until the end of the month. He accepted most of the terms proposed by Vaudreuil, was equivocal on some, including the question of religion, but he insisted that both the French and the colonial regulars should not serve again during the war, and he churlishly refused to grant the honours of war. Bougainville passed back and forth between the lines as Vaudreuil tried repeatedly to get Amherst to grant more generous terms, but to no avail. Late that night, when Lévis and his senior officers were informed that Amherst adamantly refused to accommodate them, they protested to Vaudreuil in the strongest terms, both orally and in writing. Lévis demanded that negotiations be broken off and that Vaudreuil grant them the right to march out with their remaining 2,400 men against the enemy or at least allow them to retire to Île Sainte-Hélène, near the town, there to defy Amherst, rather than accept terms that would deprive France of ten battalions, not to mention ruin their own careers. Vaudreuil and Montcalm had earlier received orders from the court that, no matter what, the honour of the army had to be preserved. The terms on which Governor Drucour [Boschenry*] had surrendered Louisbourg had been regarded as humiliating, and the king had made it plain that he would not countenance another such occurrence. Vaudreuil now had to make a cruel decision. To have given way to Lévis’s plea would have saved honour and pleased Louis XV, but at the cost of the slaughter of the remaining regulars, the destruction of Montreal, and incalculable suffering for the Canadian people thereby left at the mercy of an enemy who would have no need to give quarter or feel any compunction for their suffering. The British had already demonstrated in Ireland, the Scottish Highlands, and in Acadia how ruthless they could be when provoked. Displaying both common sense and strength of character, Vaudreuil rejected Lévis’s demand and ordered him to submit to Amherst’s conditions. In one last defiant gesture, before his troops stacked their arms on the Champ de Mars, Lévis ordered the regiments’ colours burned. Later that day, 8 September, the British entered Montreal. On 18 October Vaudreuil sailed from Quebec on a British ship and landed at Brest on 28 November. He well knew that he had caused the Canadians to be spared at the cost of his own career, which could now only end with ignominy. If he had any doubts on that score they were resolved early in December when he received, whilst still at Brest, a missive from the minister informing him that the king had been astonished to learn that his colony, Canada, had been rendered up to the enemy. The protests of Lévis and his officers were cited as evidence that, despite the heavy odds, one last attack or at least the sustaining of the enemy’s assault on their position, would have obliged Amherst to grant more honourable terms to his majesty’s army. 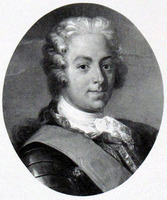 The Vicomte de Vaudreuil immediately voiced his strong resentment to the Duc de Choiseul, minister of Marine, at this treatment of his brother. Choiseul replied, courteously, as always, that he had been obliged to express the king’s displeasure over the capitulation of Montreal, that the former governor general should not take it to heart, and that he would always be happy to render justice to the zeal and long service of the vicomte’s brother. This response, however, was small consolation to Vaudreuil for it did not prevent his being implicated in the affaire dry Canada. The government had to find someone to blame for the loss of its empire in North America, and for the huge bills that had accrued for its defence. The ministries of Marine and War could not be expected to shoulder any part of the blame, Montcalm was dead, and the king would not allow the army battalions to be held culpable. Vaudreuil and Bigot were thus the obvious choice. On 17 Nov. 1761 Bigot was sent to the Bastille. 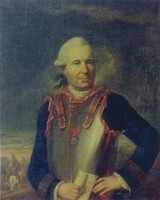 Vaudreuil followed him on 30 March 1762 but was granted his provisional freedom on 18 May. During his long drawn out trial his wife was stricken with a painful illness. Her suffering endured for months, ending only with her death in the autumn of 1763. His brother Louis-Philippe* also died during those months. Vaudreuil avowed that these afflictions, combined with all that he had had to undergo since arriving in France, had rendered life hardly worth living. Although nothing could console him for the loss of his wife, his spirits revived when, on 10 Dec. 1763, he was exonerated by the judges of the tribunal. The king then allowed him to be invested with the grand cross of the order of Saint-Louis and granted him an additional pension of 6,000 livres as compensation for all that he had endured while implicated in the affaire du Canada. In a letter dated 22 March 1764 Vaudreuil reported that the nobility, the ministers, even the princes, had demonstrated their pleasure over his justification. To cap it all, he had dined with the Duc de Choiseul who revealed that he had never given credence to the charges levelled at him by the onetime minister of Marine, Berryer, and that he was very pleased his name had finally been cleared. Vaudreuil could now look back on his career with greater equanimity. He had reached the upper level of the imperial service and he was in receipt of a pension that allowed him to live with modest dignity. For the ensuing 14 years he resided in quiet retirement at his Paris house on the Rue des Tournelles in the Latin quarter, where he died on 4 Aug. 1778. Pierre de Rigaud, Marquis de Vaudreuil, was obviously a highly strung, complex person who bottled up his emotions and let no one around him suspect his inner turmoil. His crise de nerfs of 1756 when he sought to be recalled, even though it would have terminated his career, is proof. The circumstances of his long courtship and eventual marriage, late in life, to a fortuneless woman then over 60 and 15 years his senior, also appear odd even for that age and ambiance. [The main manuscript sources pertinent to Vaudreuil’s career are AN, Col., B, C11A, C13A, D2, F3; AMA, SHA, A1; PAC, MG 18, G2; and the Vaudreuil mss in the Huntington Library’s Loudoun papers. An excellent catalogue, virtually a calendar of these last Vaudreuil mss, is The Vaudreuil papers: a calendar and index of the personal and private records of Pierre de Rigaud de Vaudreuil, royal governor of the French province of Louisiana, 1743–1753, comp. Bill Barron (New Orleans, 1975). A sizable proportion of manuscript material has been printed, including the extensive Coll. des manuscrits de Levis (Casgrain), who also edited Extraits des archives de la Marine et de la Guerre. Many pertinent documents have been published over the years in the ANQ Rapport. The Table des matières des rapports des Archives du Québec, tomes 1 à 42 (1920–1964) ([Québec], 1965) should be consulted under the headings Guerre, Journaux, Mémoires, Capitulations, Siège de Québec. NYCD (O’ Callaghan and Fernow), VI, VII, IX, X, have to be used with care; neither the transcription nor the translation can be trusted. By far the best treatment of Vaudreuil to date, but one which still leaves much to be desired, is to be found in the three works by Guy Frégault*, François Bigot, Le grand marquis, and La guerre de la Conquête. Particularly in the last two works Frégault felt obliged to deal at some length with the canards of earlier historians who had depicted Vaudreuil in a bad light. His exasperation at the way they had ignored or abused historical evidence resulted in his displaying, on occasion, an understandable acerbity. Some Anglophone historians chose to regard this as a partisan departure from the revealed conventual wisdom. Of the above-named three works only Le grand marquis is devoted specifically to Vaudreuil, but it addresses itself solely to his early career and his tenure as governor of Louisiana. In the other two works Vaudreuil figures prominently, but inevitably he is dwarfed by events. All three contain excellent bibliographies of the primary and secondary sources concerned with Vaudreuil and his times. The Almanach royal (Paris), gives terse but valuable information on Vaudreuil’s service career, such as his appointments and promotions. 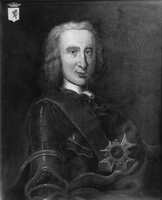 W. J. Eccles, “RIGAUD DE VAUDREUIL DE CAVAGNIAL, PIERRE DE, Marquis de VAUDREUIL,” in Dictionary of Canadian Biography, vol. 4, University of Toronto/Université Laval, 2003–, accessed April 24, 2019, http://www.biographi.ca/en/bio/rigaud_de_vaudreuil_de_cavagnial_pierre_de_4E.html.